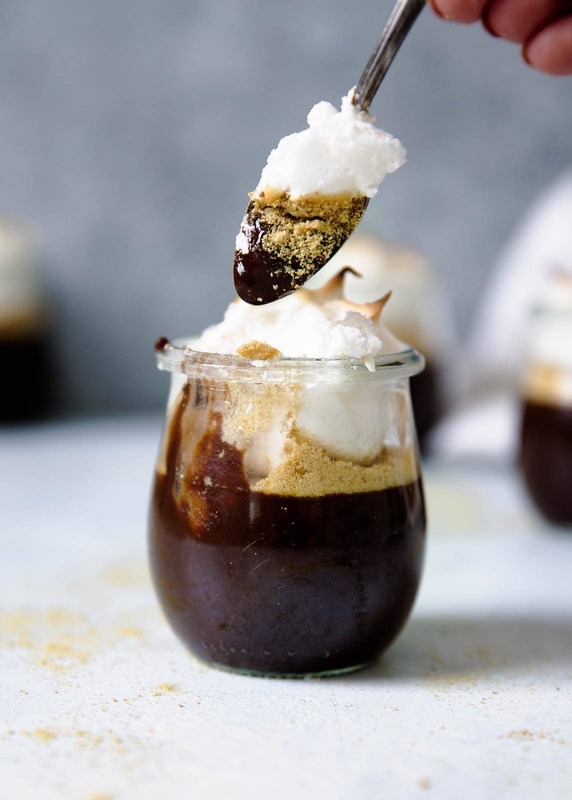 The most beautiful and addicting s’mores pots de creme. 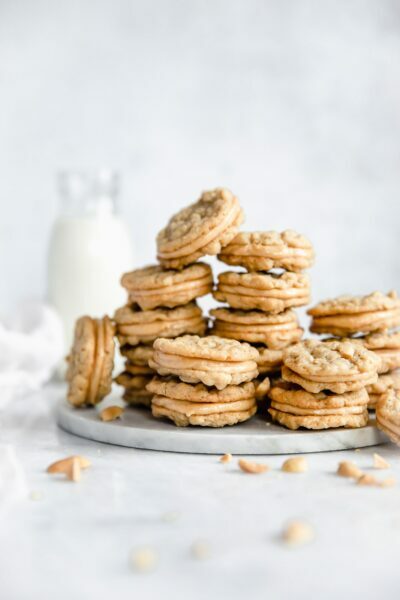 They just happen to be paleo and dairy-free, too! GET IN MY BELLY. 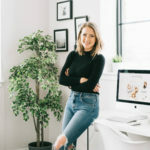 So my absolutely amazing friend, Lexi, wrote a cookbook. And it’s epic. Yes, I may have shot the cover and yes that may make me a little biased. 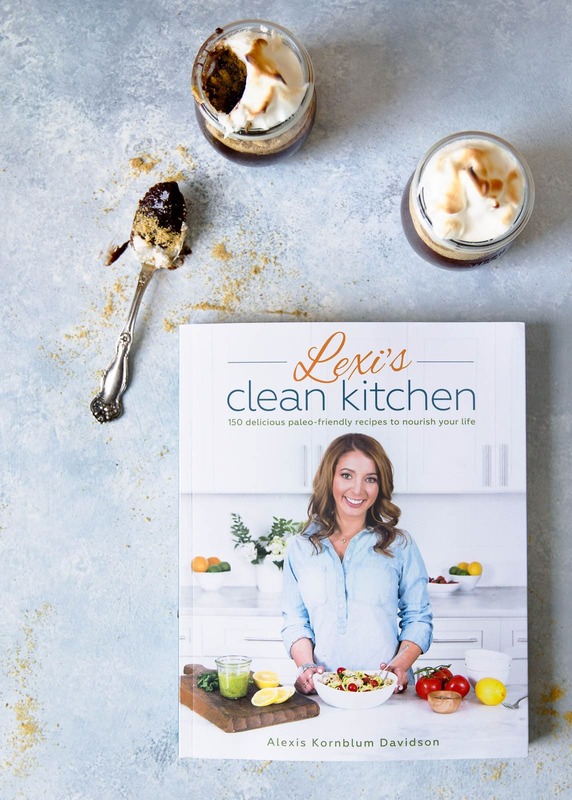 But I’ve now made 4 things from Lexi’s cookbook, aptly titled Lexi’s Clean Kitchen, and they were all phenomenal. Like, you know when you were little, there were moms whose houses you wanted to go to so badly just because of how good their cooking was? It wasn’t a particular ingredient they used, just a flavor that made its way into each of their dishes. A similar, almost indescribable flavor permeates all of Lexi’s recipes. What it really is, is magic. Her cooking is some of the best I’ve ever had, and I’m tearing up right now just thinking about how proud I am of her for this book. 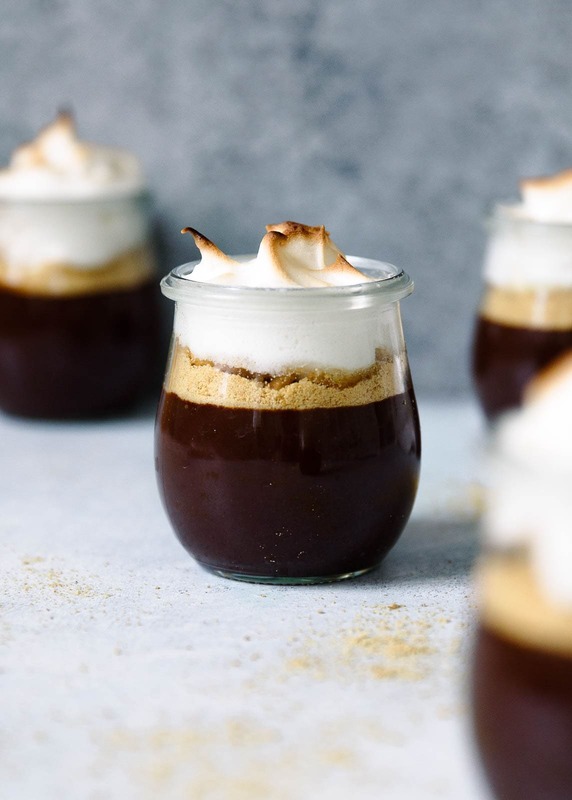 These s’mores pots de creme are just one of the many desserts in her cookbook of over 150 recipes. 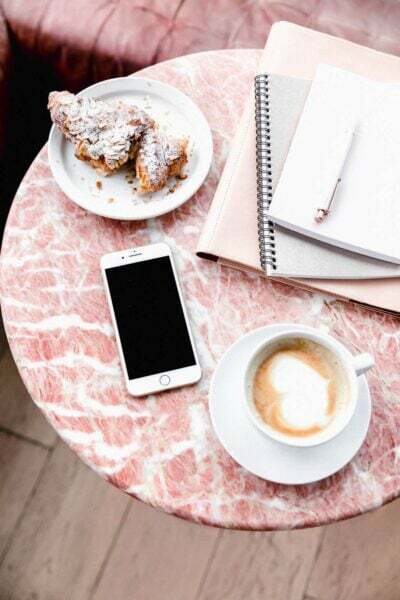 There are basics, breakfasts, apps, main courses, beverages, and more. The “best grilled chicken” is truly the best, and the arroz con pollo was so good we ate it three nights in a row. 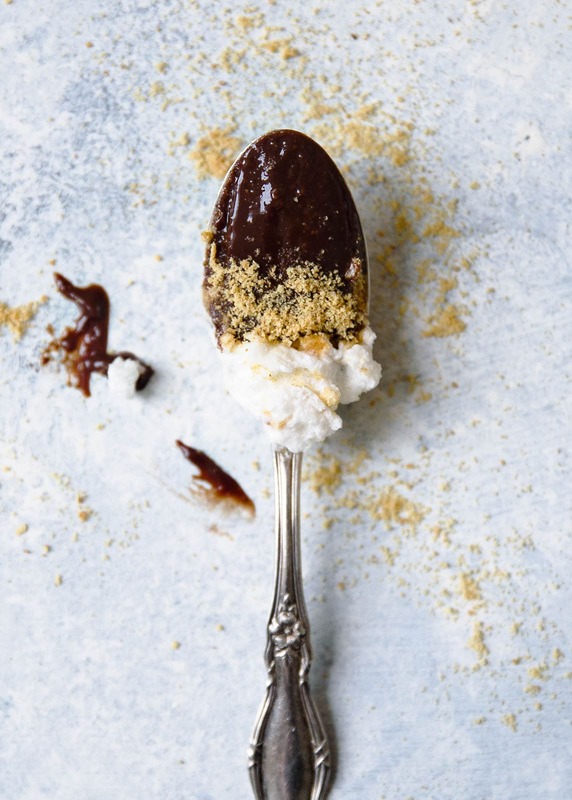 But let’s talk about these s’mores pots de creme for a moment. HOW BEAUTIFUL ARE THEY?! I ate these both at room temp and from the fridge and both were fantastic. One gives the chocolate this luxurious mousse-like texture, while the other imparts a rich, smooth chocolate bottom. You really can’t go wrong serving them either way. And yeah, back to that whole “I shot the cover” thing. I shot the cover for this book! We had the most fun day shooting in a gorgeous kitchen in Boston last winter, and it is just amazing to see it in print. OK, any more praise and I may puke she’s so cute. If there’s one cookbook you get this season, make it this one, guys. It will not disappoint. Preheat oven to 300°F and position an oven rack in the center of the oven. Line a baking sheet with parchment paper. In a mixing bowl, combine all ingredients and mix until completely combined. Form dough into a ball. Place ball of dough in the center of the lined baking sheet and cover with a second piece of parchment paper. Use a rolling pin to roll out the dough into a rectangle that’s approximately 1/8 inch thick. Using a pizza cutter, slice the dough into squares. Bake for 15-20 minutes, until golden brown and crisp. Allow to cool completely. Once cooled, place the baked and cooled crackers in a food processor and pulse until fine. Set aside. In a medium-sized saucepan over medium heat, whisk together the coconut cream, sugar, arrowroot flour, and salt. Bring the mixture to a boil, then reduce the heat to medium-low and whisk vigorously for 2 minutes. Add the chocolate chips and vanilla and whisk until the chocolate is completely melted and the mixture has thickened to the consistency of pudding. 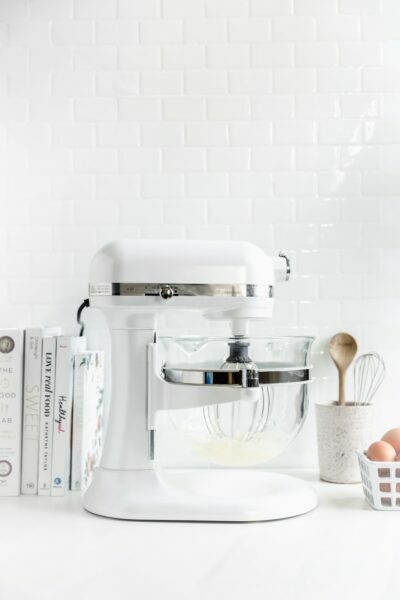 In a stand mixer fitted with the whisk attachment, whip the egg whites with the lemon juice until soft peaks form, about 1 minute. In a small saucepan, heat the honey until it reaches 130°F on a candy thermometer and is bubbling, about 1 minute. With the mixer running on medium speed, slowly pour the heated honey into the bowl with the egg whites, increase the speed to high, and beat until stiff, glossy peaks form, about 2 minutes. Take the jars of pudding out of the refrigerator. Add 2 tablespoons (or more) of the graham cracker crumbs. Then spoon 2 to 4 tablespoons of the meringue into each jar. If you have a kitchen torch, brown the tops, if desired. If you don’t have a torch, you can preheat the broiler to high and place oven-safe glass jars under the broiler until the top of the meringue is golden, 1 to 2 minutes, watching carefully to avoid burning. Garnish with additional graham cracker crumbs, then set in the refrigerator to chill for at least 2 hours before serving. Oh my GAWWWD this looks like heaven!! Usually I’m intimidated by pots de creme, but this looks so simple and delicious! 🙂 So happy for Lexi! You’re making me tear up!!!! Love you so so much! I miss you in Boston too much! Thank you for sharing!! Holy moly. Imma gonna need these in my life immediately. These pots de creme look HEAVENLY! I have to try ASAP. This recipe sounds incredible! I am literally going to try it tomorrow. I wonder if you have any suggestions for a possible substitute for the arrowroot flour. Would cornstarch work? Hi Marissa! You can substitute all-purpose flour (I’ve done it with this recipe and it came out fantastically).